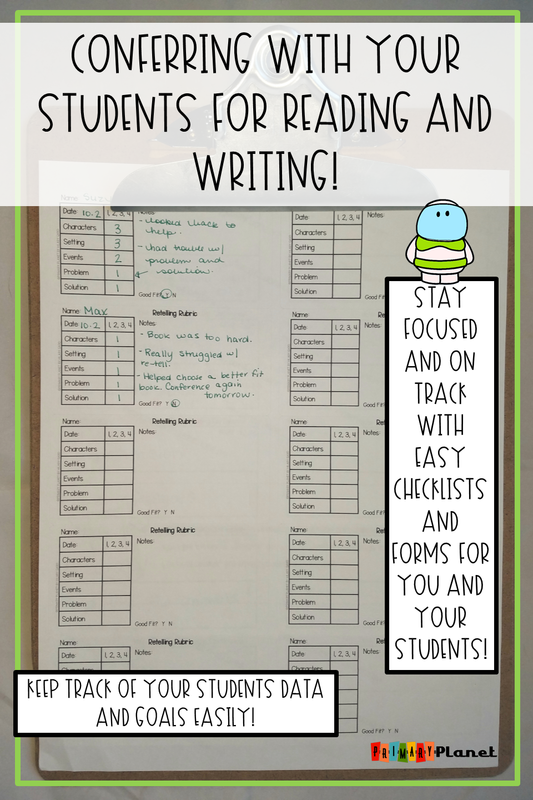 Conferring with your students for reading and writing just got a little easier! | Primary Planet! 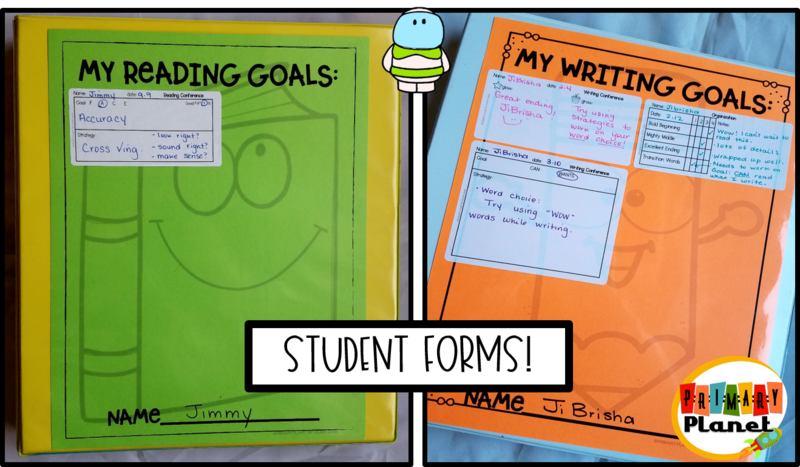 Conferring with your students for reading and writing just got a little easier! 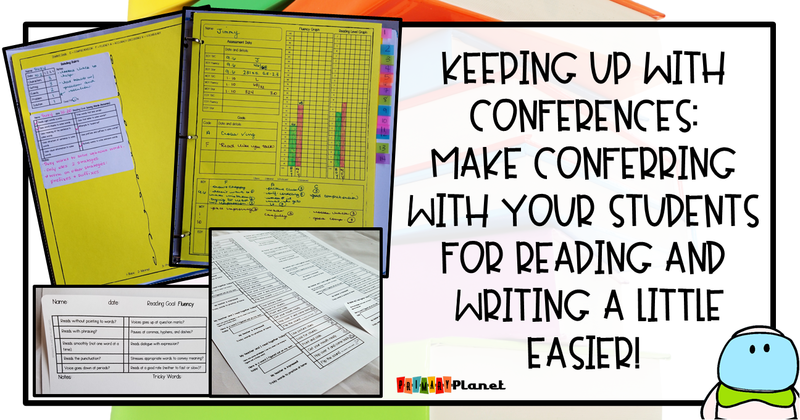 Looking for a quick way to help manage your Reading and Writing Conferences with your students? I will admit, I LOVE doing individual conferences with my kiddos for reading and writing! I will also admit, that sometimes I am at a loss for what to say, or what to teach next. I needed a way to help me focus! 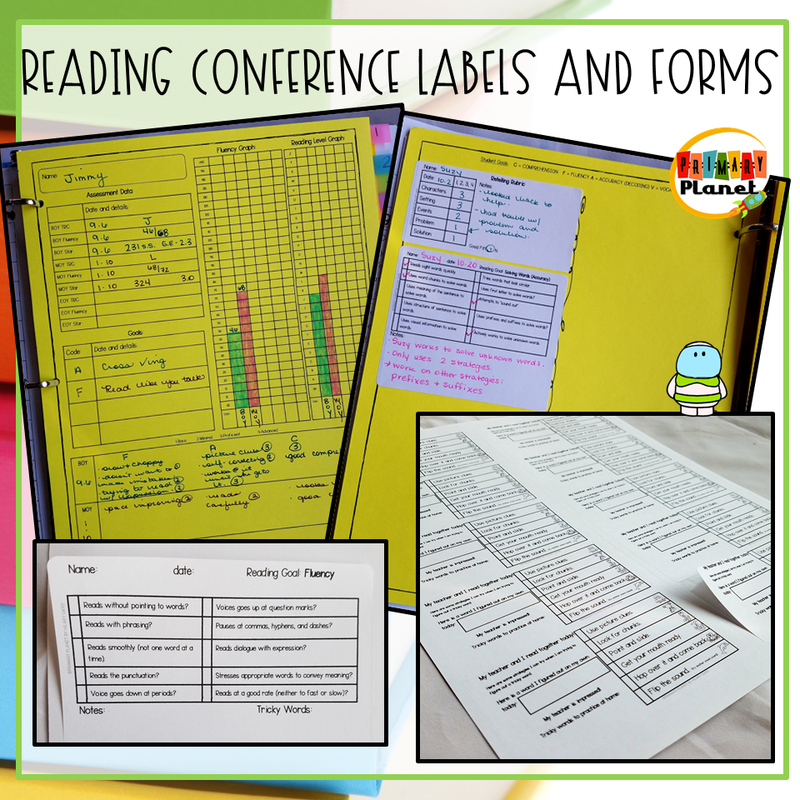 So, I created these Reading/ Writing Conference Labels, Forms, and Rubrics. They help keep me focused on what I am looking for, plus give me space to take a note or two. 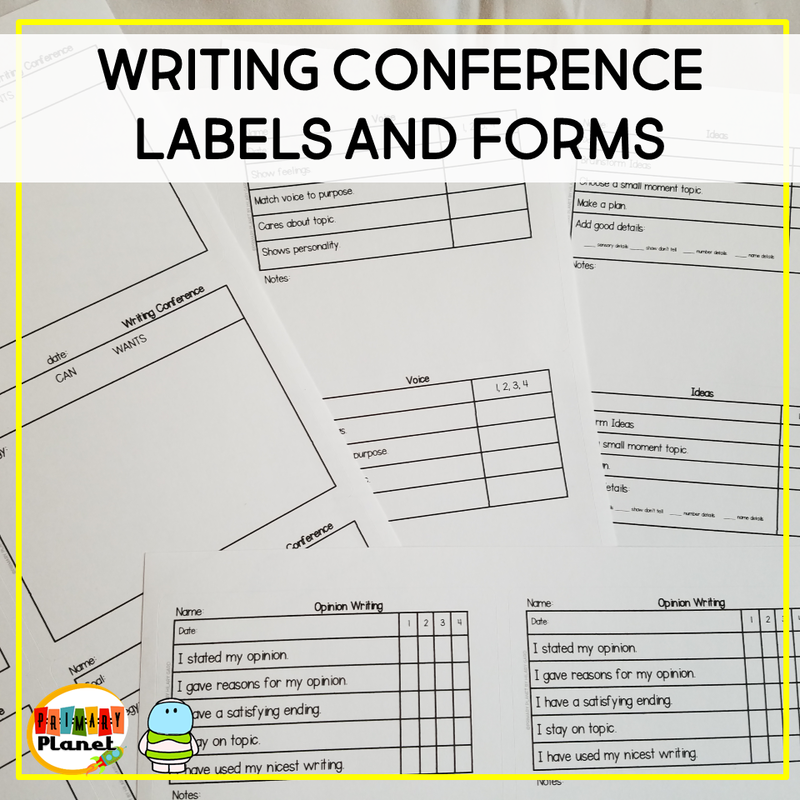 When I sit down to plan who I am going to conference with, I choose the labels that I want to use, write their names, stick them on my clipboard and go! I can grab a whole sheet or a few different ones. Yes, I have a favorite label! 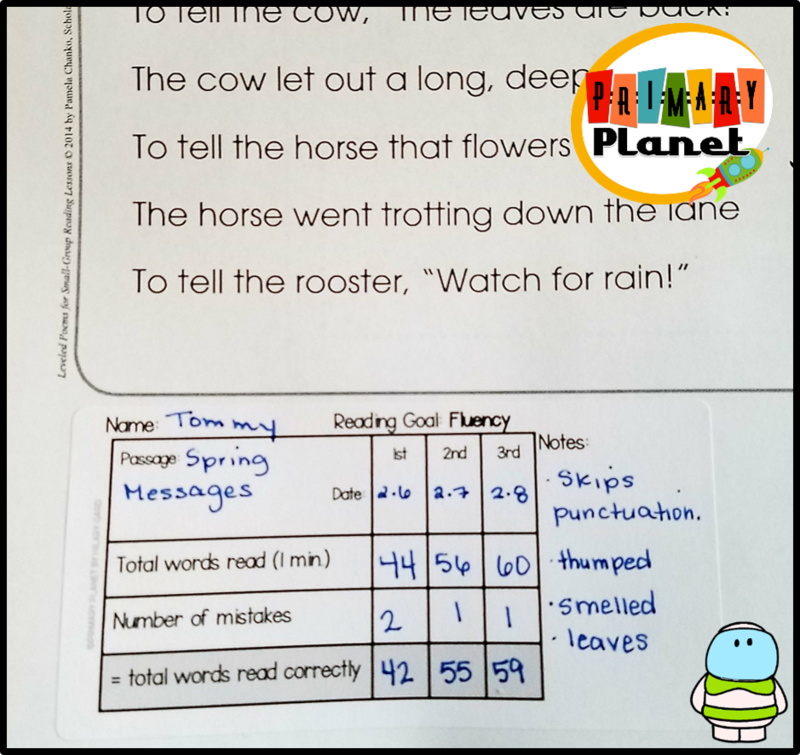 Use the fluency label to turn any passage into a fluency tracker! 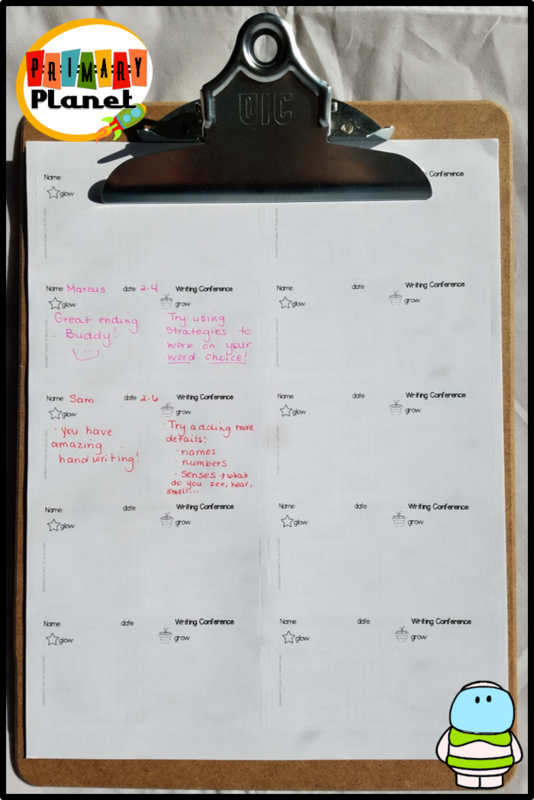 Stick a label right on your student's work to let them know how they did! 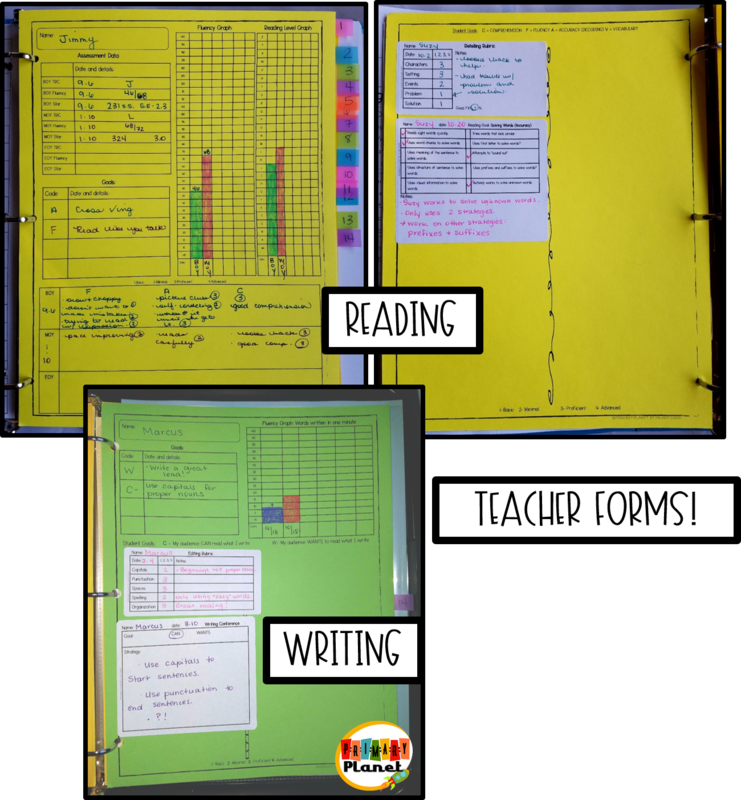 Or, before you make copies stick on a rubric label, and make copies! 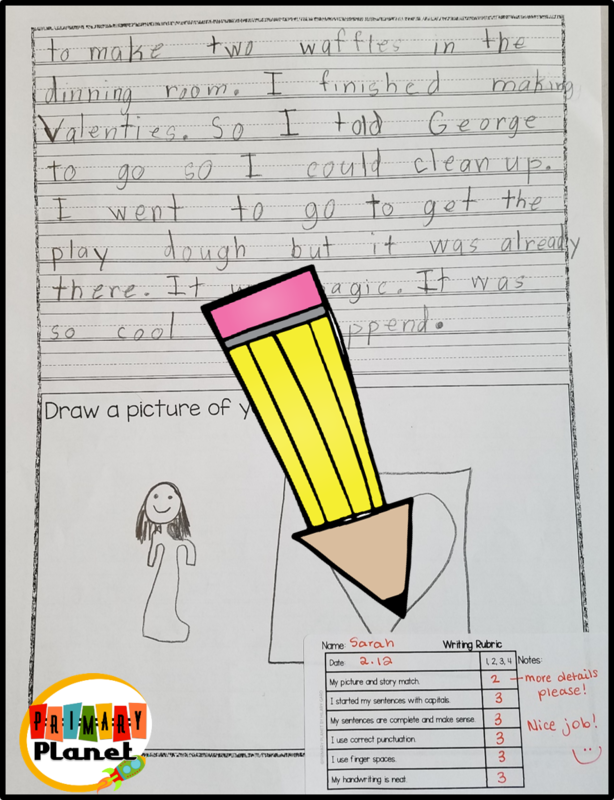 Let your students fill out their own! To make these even more helpful and versatile, all of the forms, labels, and rubrics come in editable form (in PowerPoint)! Here are links to the labels that I use (these are both affiliate links to Amazon). Want to know more? Click HERE to check out this quick video about this handy product! Don't miss out on anything going on here on The Primary Planet! Pin the image below to keep these in mind when you are planning! Thanks so much for stopping by! If you have any suggestions for new labels I would love to hear about them! Leave me a comment below! Or drop me a note in the Question and Answer section of my Tpt Store HERE! Never miss a thing here at Primary Planet! Sign up for my newsletter below and get fun teachery tips, ideas, and FREEBIES! I bet that is interesting! Thanks so much for stopping by and leaving a comment! Hi Deni! I sent you an e-mail, please let me know if you got it! Thanks so much for your purchase! I hope you enjoy them! What a great idea! I love how you have used labels in your notebooks! Headed to your TPT store now to pick them up. Thank you very much! !